I've come very close to totally chickening out. 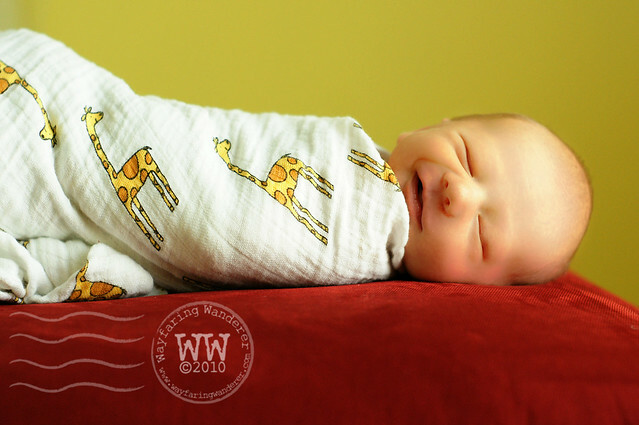 While I want nothing more than to share photos from the sweet newborn session I was lucky enough to capture, there is this little voice that is being really critical and mean. Trying it's best to force me into holding back as I sometimes do. It's insane how one moment I can feel quite proud of what I managed to leave the shoot with, and the second moment I'm having doubts about how good they turned out. This going back and forth in my mind isn't allowing me to fully appreciate what it was I actually accomplished. Quelling that tiny voice isn't always easy for me, but I'm making the decision NOT to let it steer me in the wrong direction. Of course, my first time taking newborns photos didn't turn out exactly the way that I envision, but that is to be expected. How else are we supposed to learn and get better? 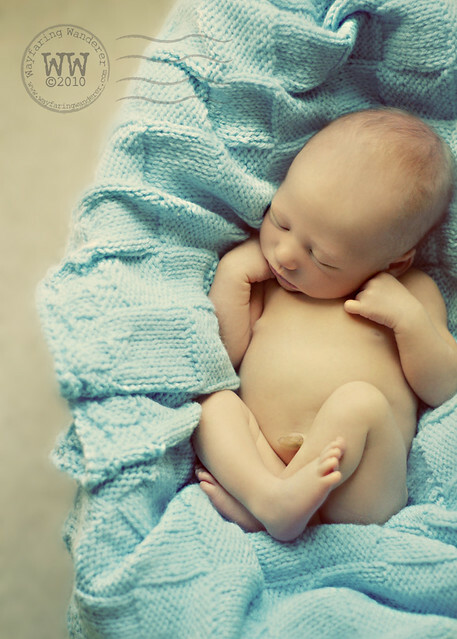 I realize that with this experience it will prepare me for my next newborn photo session and beyond. Like with baby James' parent's photo shoot, I took the time to scour the internet for posing ideas. The difference with this would be that props would also be included, and we'd be working inside, but this was the least of my worries. One of my biggest fears was actually handling the baby. Now, I've been taking care of other newborns and toddlers since I was about 12 (babysitting), so it's not that new to me. I can change diapers and feed them with no problems. However, I haven't actually had a newborn model for my camera yet. At 10 days old, baby James was super sleepy, and it didn't take long for us to get him to the edge, so that I could take over. I sat around and talked with the parents for about 30min while they fed and rocked the baby. It felt like much longer, but when I looked at the time I started taking pictures only 30 minutes had lapsed. By this time, I had already set up the ottoman next to the window where we would be taking photos and picked out the blankets we would use. Big white boards were also placed around to help lessen shadows. At times, Sharon or Mike held a smaller whiteboard when necessary. It was a group effort, for sure. After the baby was almost asleep, they handed him over to me. 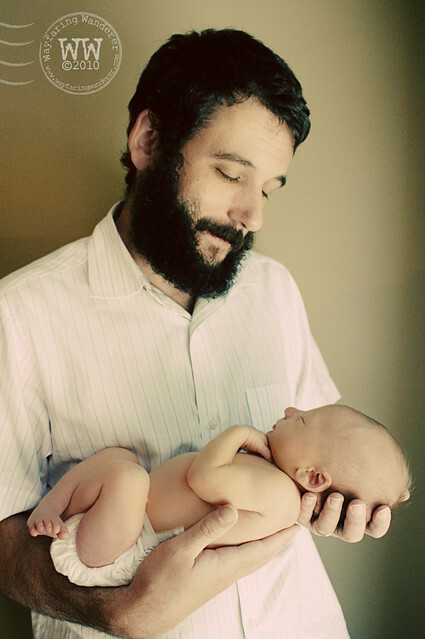 At first, I was really apprehensive about positioning the baby on his stomach. The last thing I wanted to do was suffocate the little one! Before I started shooting away, I wanted to make sure that he was good and sleepy, so I waited about 5 minutes after putting James on his belly before going snap happy. I did my best to channel my inner baby whisperer and let him stretch and squirm as much as he needed. It wasn't long before he was out cold! I really couldn't have asked for the session to go any smoother. The baby slept nearly the entire time only waking up toward the last 30 minutes or so. The only accident we encountered was when I put him on his back, and he proceeded to pee down the front of my t-shirt. It happened so fast, I barely had time to react! We were all laughing our butts off pretty hard, but I didn't miss a beat. This surely won't be the last time I'll get tinkled on! It might seem like I may be revealing a little too much of the behind-the-scenes thoughts about I how felt throughout the process, but this is part of my journey. I really want to share in hopes that someone else wanting to do the same might find comfort in knowing that everyone has to start somewhere. I must confess that once I got there and was in the moment, all of the worries and fears I felt prior to the photo shoot seemed to disappear. Now, they did show back up after the shoot, but I had a much easier time dispelling and overcoming them at that point. Total, I spent approximately three hours from the time I got to their home until I was done taking pictures. That's how long I was figuring it would take from the beginning based on what I read beforehand. 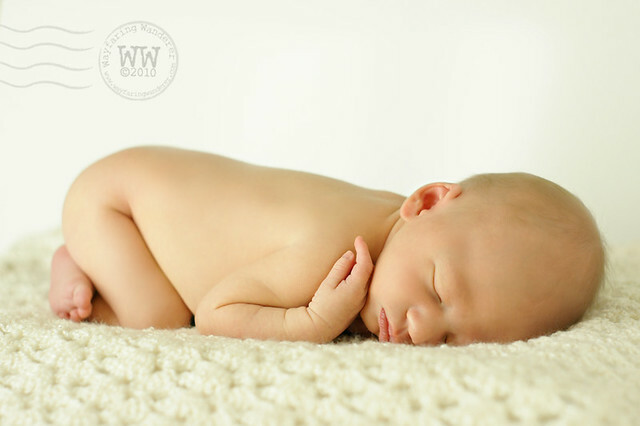 It was a great experience working with baby James, and I truly appreciate having the opportunity to capture such tender and precious moments in his life. A big HUGE thank you goes out to Sharon and Mike for believing in me and my abilities to pull this off. I seriously can't thank you enough. Quelling that tiny voice isn't always easy for me, but I'm making the decision NOT to let it steer me in the wrong direction. I think that statement mixed with the pure awesomeness of these pictures inspired me today. I have to quell my tiny terrified critic too. Wonderful series of photographs. It is so refreshing to see such purity in the newborn. And you learned a great lesson about photographing baby boys! Too funny. oh my goodness. these photos. i'm all teary looking at them. they are moving me to tears I say. ooft! 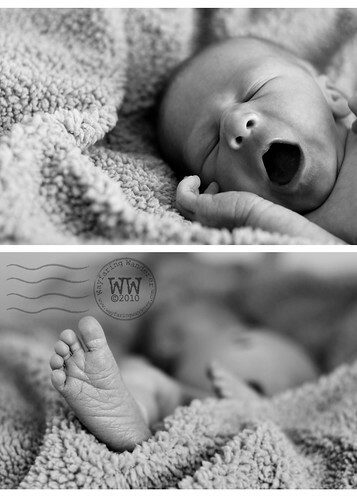 what wonderful photos of the wee baby! wow - excellent job - the lighting in these is just gorgeous, which made all the shots beautiful and delicate. That tiny voice can be all kinds of trouble! I have a hard time keeping it quiet too. GOOD for you for not listening. These photos are fantastic! I love how they position themselves like they are still in the womb! These are amazing. Excellent job. Really. These images are so wonderful. You did a perfect job. Seriously. Perfect. I love your whole post. I felt like I was right there with you. I think your photos are lovely. Though I must confess that I am distracted by your very cool watermark. It reminds me of a stamp. Just love it. These photos are precious. I love your watermark too. Nice job! Newborns are delicious, right?! And a photographer's dream client. Well, as long as they're sleepy, and not hungry, tired, or having an active day in the bowel department. But even then, my favorite clients by far. Good job! I love every photo on this post. Amazingly inspiring. Two words I am not too familure with, but are the only ones I can use to describe what I have just witnessed. Within the next few weeks, I will be an Aunty to a little baby boy, named Kye Anthony. 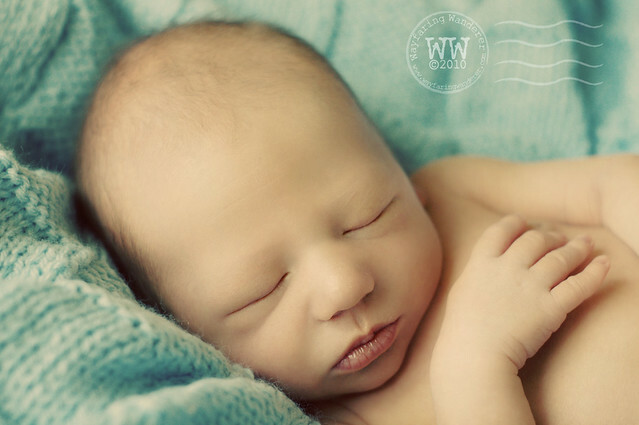 Being my first nephew, I am a little nervous about taking photos of him, so I began researching newborns that photographers have had the joys of working with. Your post is the best example of what I plan to do yet. Thank you for sharing this with me. Okay, so I may be only sixteen, and not very experienced with the camera, and I may not have very advanced equipment, but I plan to do what ever I can to get my pictures to be magical. And your inspirational photographs just gave me a shove in the right direction. I have been invited into the delivery room, so plan to capture the first moments of his life. Thank-you so much for uploading this post. I like the "behind the scenes" talk.